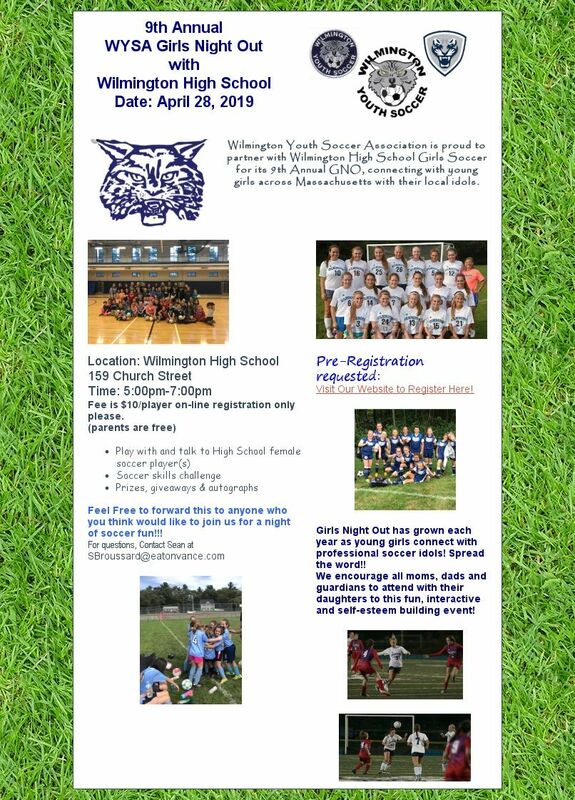 WELCOME TO THE WILMINGTON YOUTH SOCCER WEBSITE! Tryout registration is officially open for the Massachusetts Youth Soccer Town Select League ( TSL) for the 2019-2020 season. The TSL is a ‘bridge’ program that focuses on player development and joy of the game . If you are a player who is currently on a TSL or a new family who has a child who is interested in trying out for one of our teams for the 2019-2020 season , you will be required to register using the link below and attend at least one of our tryouts in order to be eligible to play next year. 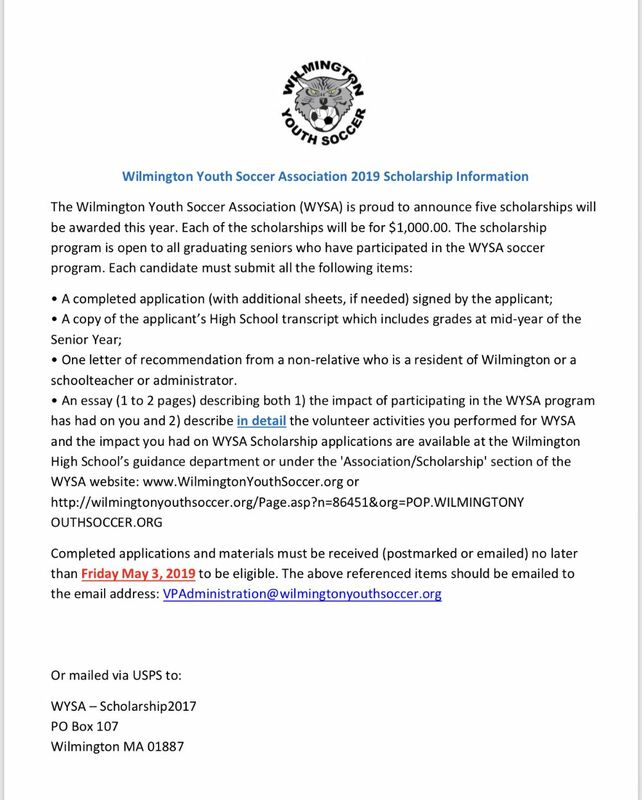 There is no cost to register or to participate in our tryouts. 1. Players may attend any of the tryout locations but will be rostered on a team closest to their residence. 2. The TSL rosters by birth year and not by grade. 3. Players born in 2011-2005 will be eligible to participate next year. 4. Our playing year consists of fall and spring season with an optional winter training component. 5. 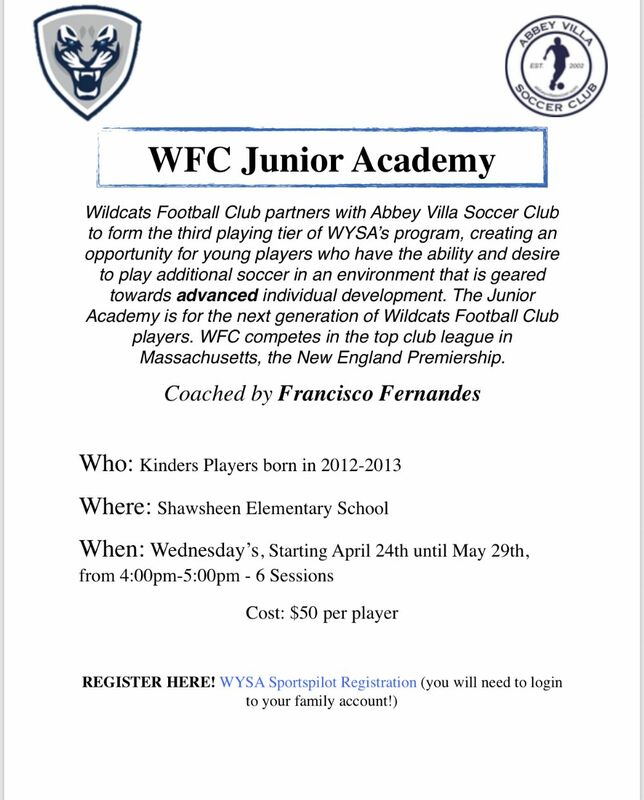 Coaches are properly licensed and approved by the Director of Coaching of Mass Youth Soccer. If you would like to learn more about the TSL in detail, please visit our website homepage and click any of the links on the left hand side to better familiarize yourself with our Program Information, Rules of Competition, and helpful FAQ section. The TSL Program will be using Affinity as their registration platform for the 2019-2020 season. Have a wonderful day and if there is anything I can assist you with please do not hesitate to contact me at mlaroche@mayouthsoccer.org. There are NO dogs allowed on the fields at the Shawsheen School Fields or Woburn St. Fields. This is a Town Ordinance that WYSA will enforce.